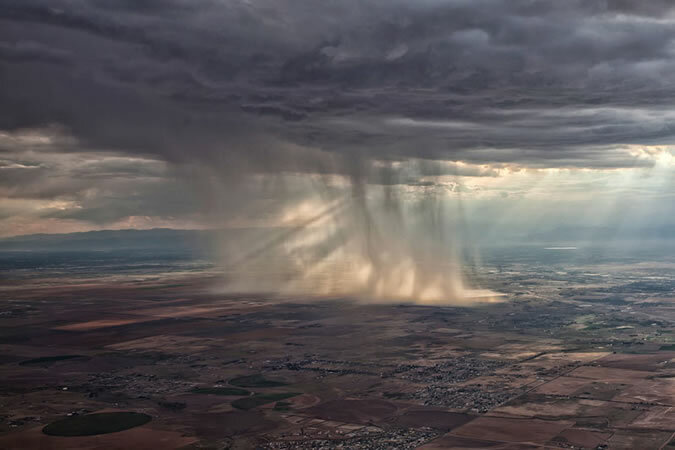 Today’s picture of the day is a heavy rainstorm spotted from a plane over America. While the picture is amazing to look at, seeing it from the plane must have been even more spectacular. Photographer Haley Luna took this amazing photograph while flying into Denver, Colorado. The way the sun peeks through, illuminating the storm, is simply wonderful.